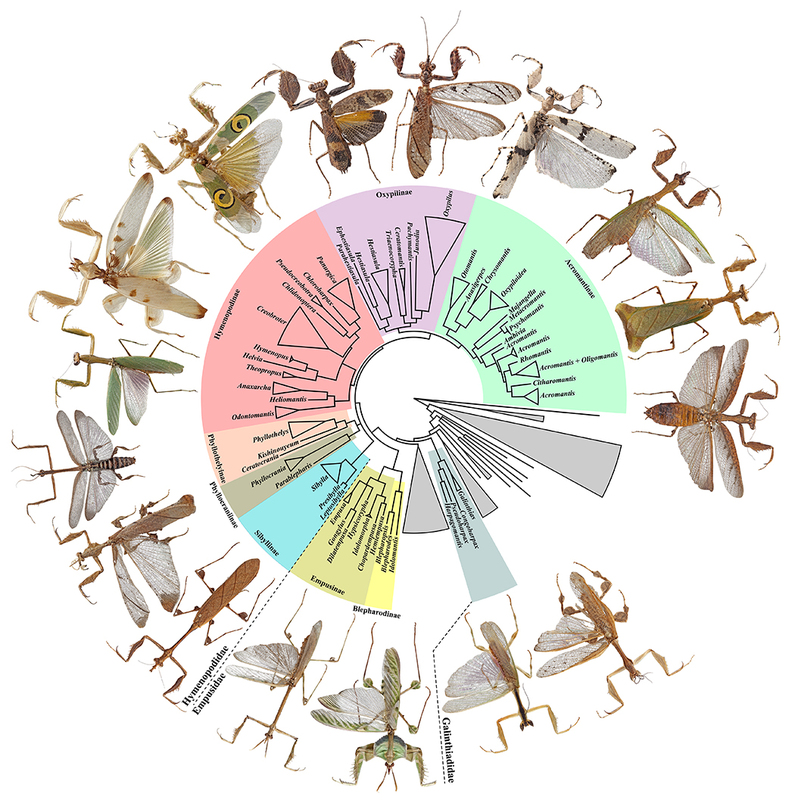 This website is a collaborative effort to revise the classification of praying mantises (Mantodea), a project funded by a Revisionary Synthesis in Systematics (REVSYS) grant from the US National Science Foundation awarded to GJ Svenson. Project results and taxonomic resources will be served to the broader community of researchers and the public through this site. I. Natural Classification. Complete high-level phylogenetic analysis of Mantodea using molecular and morphological data to inform a reorganization and revision of families, subfamilies, and tribes. II. Revision. Conduct comprehensive revisions of Flower Mantises and Earless Mantises through phylogenetics, digital imaging and illustration, databasing, and taxon acquisition. III. Identification. Produce three online interactive taxonomic keys for higher-level Mantodea, Flower Mantises, and Earless Mantises using digital imaging of diagnostic characters, morphological descriptions, and geographic range representations. IV. Species Description. Collect new Mantodea taxa from hyper-diverse regions for revisionary work, monograph production, museum collection development, and new species discovery. V. Training. Establish a center for mantodean taxonomic expertise through extensive graduate and undergraduate student training and collaborations with active taxonomists.